Thank you for visiting our website and your interest in NELL. If you like what you see here and would like to become a member of our organization, please click here for more information. Learning more about lighthouse and maritime history through educational meetings, programs and site visits. 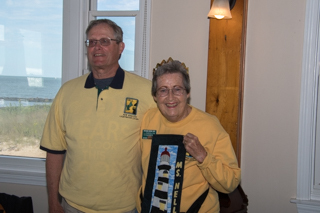 Raising funds to help preserve and restore New England lighthouses and other maritime sites and encourage volunteerism in the preservation and restoration process. Encouraging the appreciation of lighthouses in maritime history and how their representational models aid in the preservation of this history. Thank you for your interest in NELL and visiting our website. 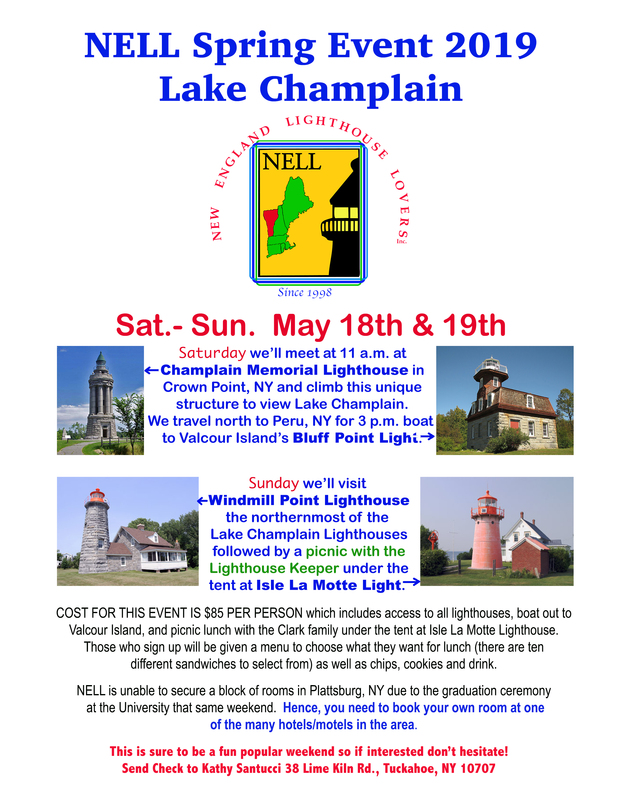 The next meeting of NELL will be in the northern Lake Champlain area on May 18-19, 2019. We will be visiting Champlain Memorial Lighthouse, Bluff Point Light, Windmill Point Lighthouse and Isle La Motte Light. Please click here for more information. NELL would like to thank The New London Maritime Society and the Executive Director Susan Tamulevich for their hospitality in having us at the New London Custom House for our recent Board of Directors meeting. This museum has many interesting displays and artifacts. If anyone is in the area, it is well worth a visit. For more information, please visit their website. 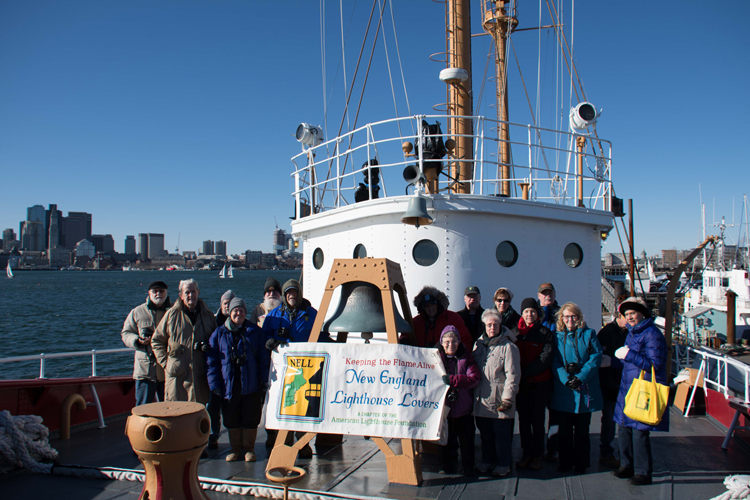 The Friends of the Boston Harbor Islands are raising funds to save the Lovell's Island Oil House, once part of the range lights. For more information and to help this cause, please visit this link. Anyone who lives in the Boston area or is planning on visiting is encouraged to check out the Friends of Boston Harbor Islands activities. To learn more about what they have to offer, click here to visit their website.